As much as we love our pets, we can’t always take them on family vacations with us. While we have taken Chloe with us on vacation, we have never attempted to take our cat. Therefore, we always need to find a reliable Cat sitter when we head out of town for a few days. My daughter always is pet sitting, and I often see the hand written notes about the daily needs of the pets she is watching. 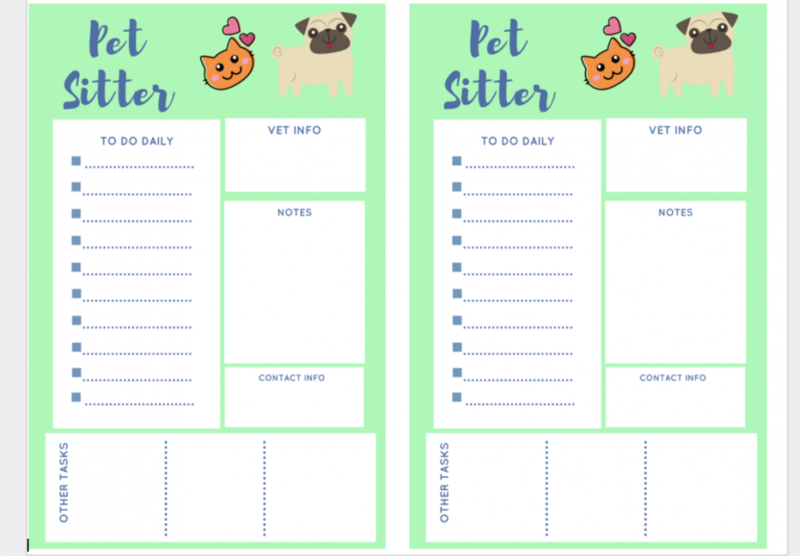 This made me start thinking about creating a printable that we could just fill out quickly and give to our pet sitters. You can keep all the important info permanently on your sheet like the Vet’s name etc, but change other needs like recycling day. When you head out of town it is best to start with a clean litter box so you don’t scare away your cat sitter. 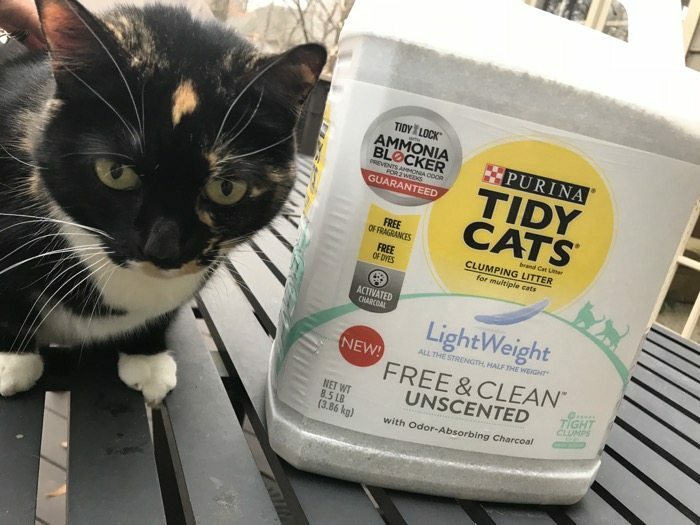 We recently tried TIDY CATS® Free & Clean™ Unscented Clumping Litter from PetSmart. 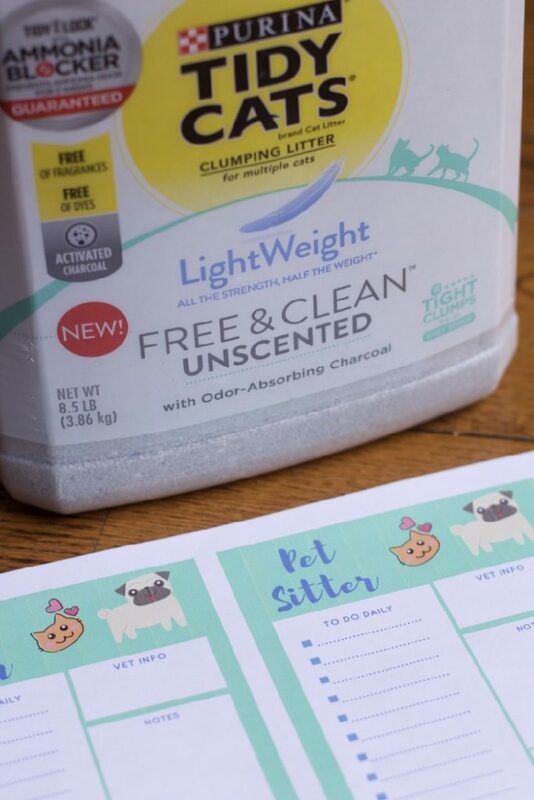 It was totally light and it keeps the stink out of the litter box with this NEW dye and fragrance free litter option that does more than mask pesky odors- it works to destroy them thanks to the odor-absorbing power of activated charcoal. 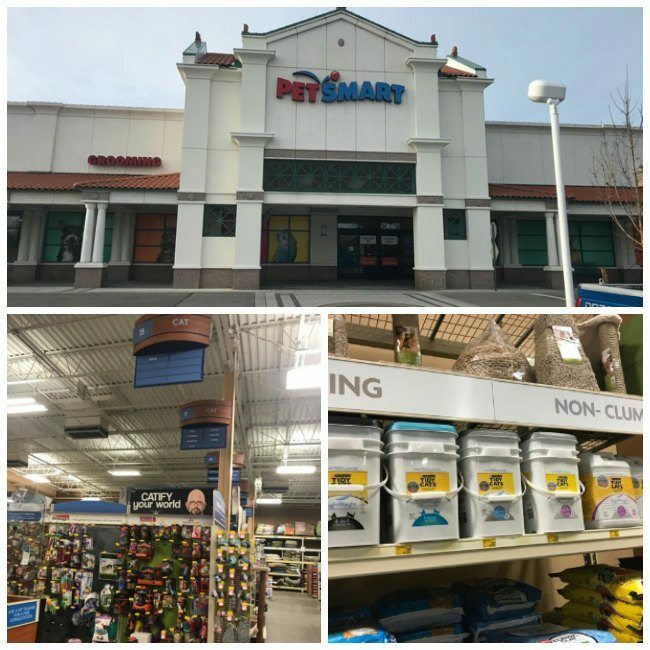 While you are picking up new litter for the pet sitter, be sure to spend more time at PetSmart, your one shop store for anything pet related. The staff is so helpful and many locations have either an on-site grooming salon or Banfield veterinarian services. Get your dog signed up for obedience training courses while you are there as well. 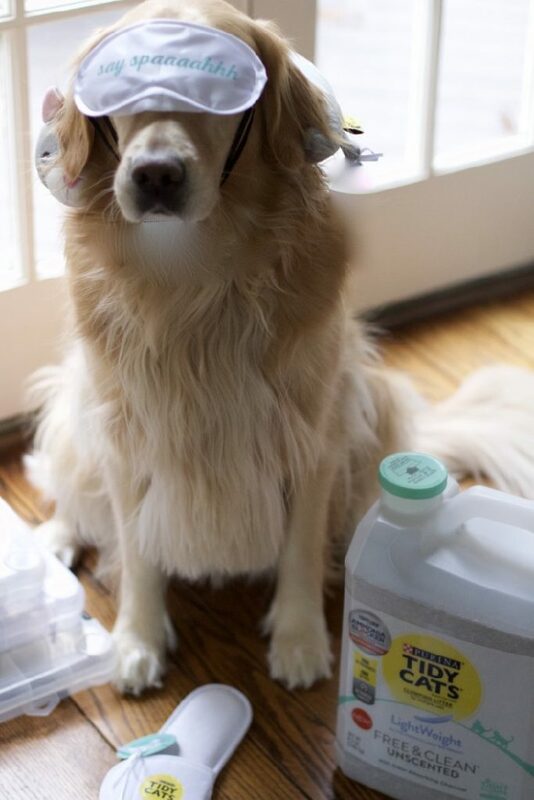 Pick up an extra bag of pet food too, you definitely don’t want to run out while you are out of town. 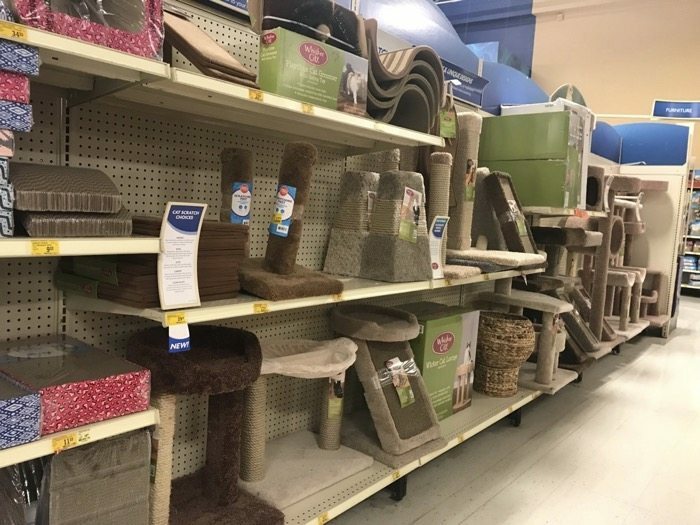 The cat section at our PetSmart was HUGE: Spoil your cat while you are gone and pick up some extra fun treats or toys for your cat too, they wont miss you as they explore a new cat hotel! Feeling guilty you are leaving for a long time, pick your cat prince or princess a new bowl, collar or cozy bed. With all this extra free time from not having to run from store to store and constantly clean out the litter box, Chloe and I thought we would pamper ourselves. Well she took the lead. 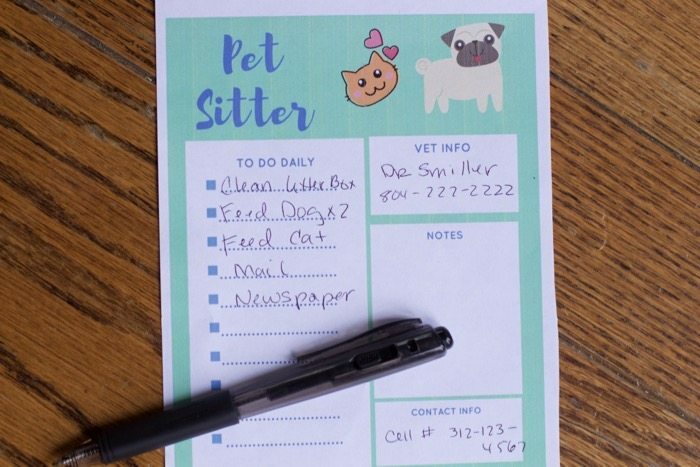 What would you add to our dog and cat sitter printable? thank you so much. makes one less thing to do when traveling. 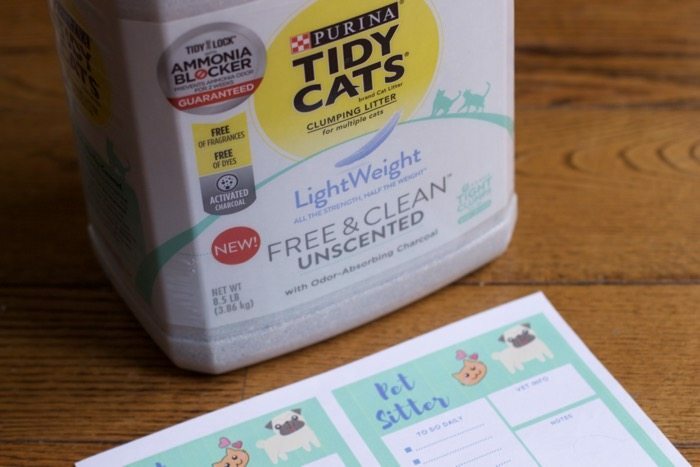 We’ve used Tidy Cats forever but last time my husband tried generic, I told him never again… Tidy Cats is the only brand to buy. 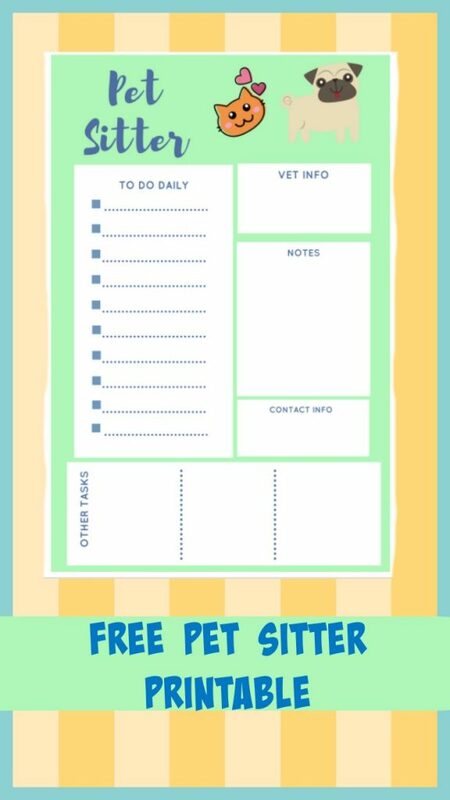 Great printable list, will print it out when our neighbor helps us out with the cat. I’ve never tried that brand, but I really should give it a go. I love the printables too. That would ease my mind a lot. This post is adorable. Your printout is just the right thing. That is sooo cute! 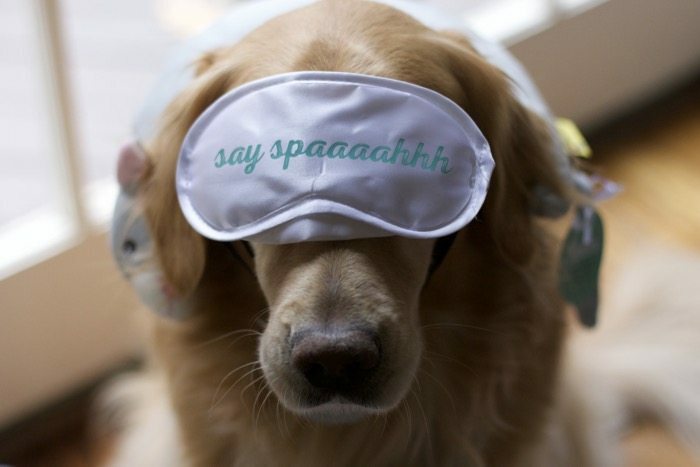 I may have to plan a vacation just so I can use the printable with my dog sitter. 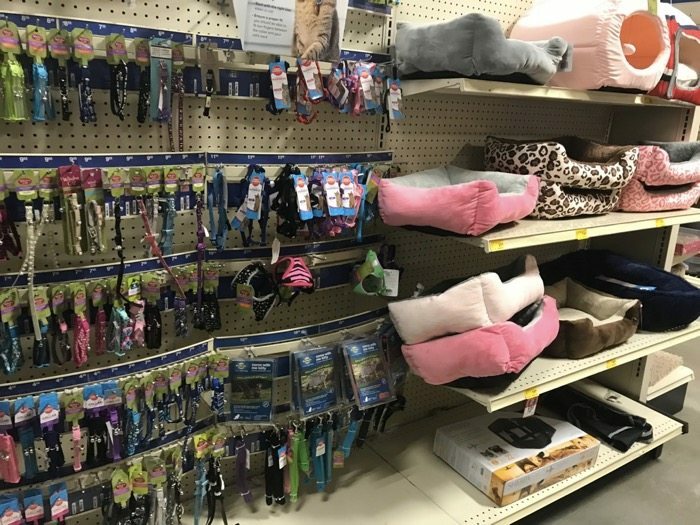 It can be hard to leave your pets behind.